Summer is finally upon us! 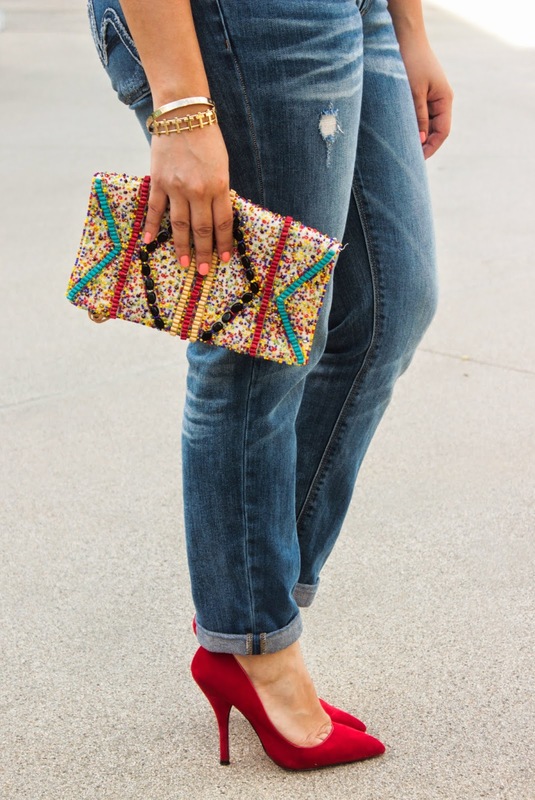 Time to bring out the high hemlines and fun bold prints. But first, I wanted to share this outfit from a couple of weeks ago. 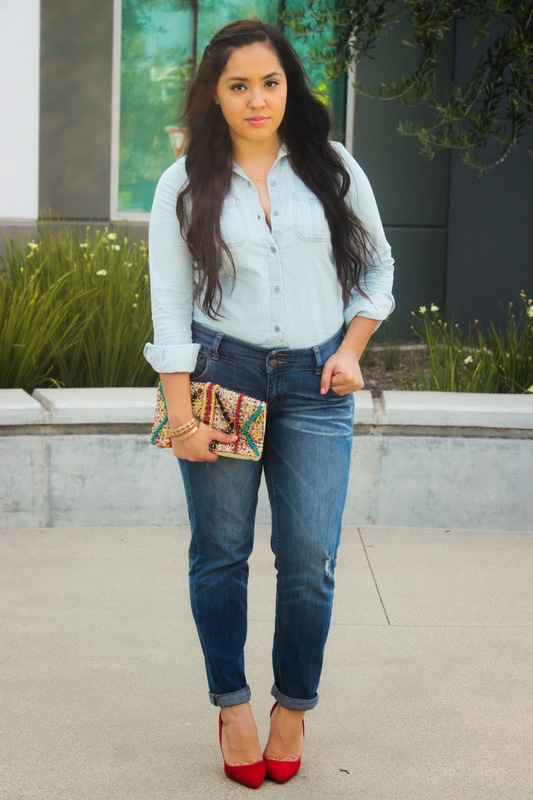 I'm really loving the whole denim on denim combo, it looks structured and uniformed but casual and chic all at once. I'm going back to blogging full time so get ready for a bunch of fun Summer looks. Stay tuned loves! I love denim on denim! This outfit is just gorgeous. 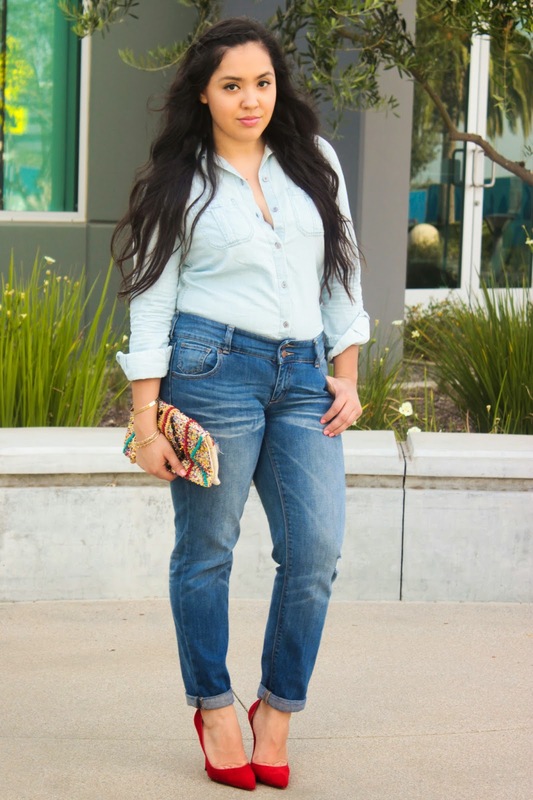 This denim shirt and these jeans look great together, but the pumps really make this a fabulous outfit. Your hair and face look beautiful. Amazing style!